The Breeze YTT is a 200hr Yoga Alliance accredited vinyasa course taught by senior yoga teacher Hassan Hassan. The course will be mainly practical learning with Hassan accompanied by other tutors teaching anatomy and philosophy. Then takes place over 5 weekends. Will I be able to come to Breeze classes throughout the YTT? Yes. Everyone who enrolls on the Breeze 200hr YTT will receive a TT pass to classes to use at the studio during the length of the course. This is something that is very specific to our YTT and invaluable to making sure that you fit in as much practice as possible throughout the course. You will have the opportunity to teach our community classes right after you graduate to put into practice everything you have learned. We believe at Breeze that your TT is just the start of your teaching career and you should continue to grow and learn throughout your time as a teacher, so after training you will be paired up with a Breeze teacher who will mentor you for the first 6 months. They’ve also all been through exactly what you are about to, and so can be a shoulder to cry on, or someone who’s brains you can pick if you’re feeling a little bit lost or unsure of what direction you want to take. You will be introduced to your mentor at the beginning of the programme and encouraged to have regular catch ups with them throughout the course and ongoing as you start your journey as a teacher. The mentorship programme is something that is very special to Breeze training. As part of the History and Philosophy modules, we will be touching on the majority of the ancient and modern-day styles of yoga. However, the majority of the course is focused on a Vinyasa style of yoga, with the sequencing based around this. This course will give you the ability to teach a vinyasa flow class as well as a traditional hatha class. The repertoire of postures covered will give you the ability to teach both dynamic and more calm flow classes. There will also be a module on teaching in the hot room safely and effectively. How is the course material delivered? Teaching methods include: lectures, experiential classes, small and large group work, practice teaching time and individual homework and exercises to encourage in depth learning and discovery. 90% of the 200hr YTT will be live contact hours with your Teachers and Mentors, whilst 10% is personal study and practice. The Breeze 200 hr YTT is a combination of continuous assessment, practical and written examinations. After each module, reading and small amounts of written work are set. Towards the end of the training, there are slightly longer pieces of work in each subject area to complete. We would suggest that you schedule in between 5 – 10 hours a week for reading and homework in addition to attendance at all the pre-set in studio sessions. How much practice will I be expected to do throughout the course? You will be given the sequences that you will learn on training so you can practice them and feel them in your body. We recommend that you begin self-practice with these and attend regular classes (a minimum of 2x per week) with teachers approved by the course tutors. In addition, it is strongly recommended that you begin self-practice at home. This will enable you to experiment creatively, question and work toward integrating what you learn in class. Ultimately, this training is about you discovering your own understanding of yoga and teaching from your personal experience. To do this effectively requires self-practice, contemplation, meditation, acquired knowledge and experience. As a requirement of the training students must attend a minimum 20 hours of taught classes at Breeze as part of the course (these are included in the price of your course). Do I need to live in Beckenham? Not necessarily, but all contact hours will be in Beckenham, so you’ll need to find your own accommodation for the intensive week at the beginning, and all weekends following. Is it possible to work full time alongside the training? Absolutely. Aside from the week intensive the majority of the contact hours on the training take place over weekends, including Friday evenings. You will need to take one full week holiday for the intensive week at the beginning of the course and a long weekend at the end of it. Absolutely, please let us know how we could assist you during this process. The Early Bird rate is £2,500 There will be 10 Early Bird spaces available for each Course. Course fees include all tuition, mentoring, course manuals + handouts. A short book list of literature that support the course will be required to compliment the course and will be needed to be purchased by each student in addition to the course fees, the list will be supplied upon acceptance. A non-refundable deposit of £500 is required on sign up. The remaining balance will be split into two payments as per the application form. On signing up, you will be given a schedule of payments. Please factor in transport, accommodation (if required) and food/ drinks costs for the duration of the course. Applicants will be accepted on a first come first served basis, on the basis that they will all have passed the application criteria (a minimum of 2 years practicing yoga). How many students do you take on the course? We take a maximum of 24 new students onto each intake. What level yoga practitioner do I need to be? Two years of personal study is highly recommended before undertaking this course. It is strongly suggested that students ready to take the next step into teaching, will first have a serious and dedicated personal practice. What if I’m not super flexible, and my inversions aren’t perfect? Can I still apply? Of course, yoga is for everybody and at Breeze we believe that anyone can practice yoga and encourage all body types to attend training if you feel called to. In your training you will learn firstly how to practice for your body and then learn how to safely teach other body types and making yoga accessible for all. When can I start teaching yoga? Once you have passed the Breeze 200hr YTT and hold a valid first aid certificate and insurance, you will be covered to start teaching classes. We encourage students to start teaching friends and family and our community classes as soon as possible, as practice is key and the more practice you have, the more confident a teacher you will become. We believe that you will still have lots to learn, even once the course is finished, which is why we have devised the Breeze mentorship Programme, to give you access to great teachers to shadow so you can practice assisting. Included in the course is a module on The Business of Yoga, which is aimed to give you the skills to build a successful career in the yoga industry. In this module you will cover the process from becoming a new graduate to a fully-fledged Yoga teacher! Where can I work after I’ve graduated? 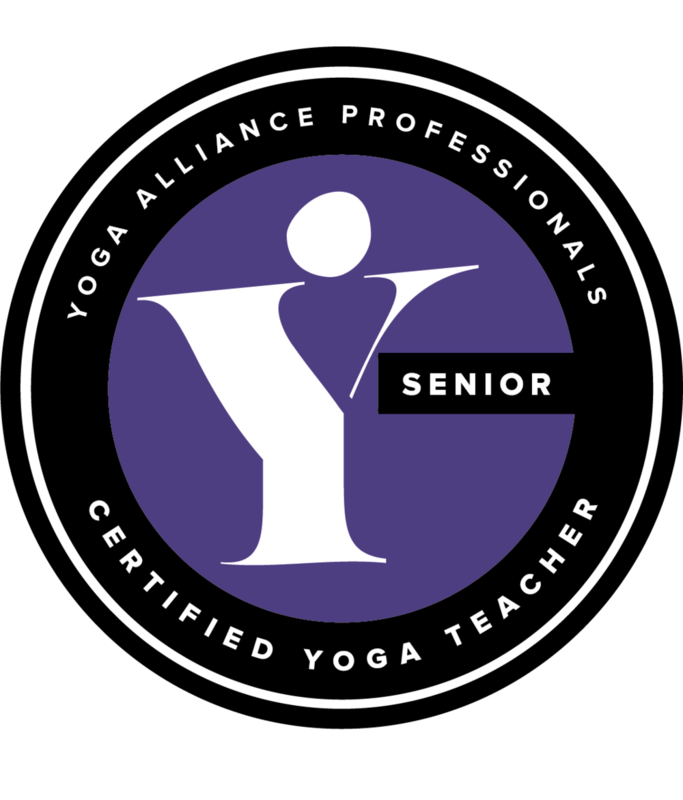 You will be ready to apply to start teaching in yoga studios, gyms, church halls, community centers or anywhere else where yoga teachers are required. You may choose to go on additional courses to develop more specific skills, for e.g. Pregnancy Yoga, Yoga for Children, Meditation, Yin Yoga or Hot Yoga. There are opportunities for our very best graduates to teach classes at Breeze and to become part of our Mentor Programme for the following intake. We can also offer many corporate, promotional and large-scale event opportunities. Contact : Hassan@breezeyoga.co.uk For more information or to Book Your Place. A yoga teacher is expected to live by certain disciplines and codes. These have arisen due to the teacher being an example their students often follow. They have also arisen because the teacher/student relationship must be such that the student feels free to let down their usual social barriers, and be influenced, taught, and be allowed to grow. 1. To have a regular yoga practice. Teaching is a direct expression of our own practice experience and it is important to always stay connected to why you love yoga and what your intentions are for teaching. If you are not practicing, your teaching will not be coming from a living place, but purely from memory. 2. Non-violence. This means that having developed in or own practice, we will have created a sensitivity to our own bodies, and our own internal energies and we will be practising yoga in a way that causes no harm. This sensitivity is then brought to the student. We carefully ensure students are always practising safely, and create a supportive environment for them to grow and learn. We are always kind, respectful and have the students best interest at heart. 3. Commitment. We understand that a commitment is a form of vow. Vows are the ancient traditional secret of growth. 4. Teachers should not give medical advice or advice that could be interpreted as such, unless they are medically certified to do so. Refer the student to a doctor. Suggestions for diet, therapies, dealing with injuries can be made, but always suggest the person visits their doctor if something is bothering them. 5. Kindness and non-judgement. As teachers we must be sensitive to everyone’s own personal journey, level and state. We need to discipline our own tendencies to react, disagree, judge and to enter in a compassionate openness with the student. 6. Teachers should not date students. professionally. Taking yoga courses, self study, meditation, reading and practise become part of the teachers normal life. 8. Cultivate an open mind to all forms of religion and spirituality. 9. Be honest. If you do not know how to help a student, refer them to another teacher or professional in the area they need. 10. Teachers must be fit and healthy to take the course, this does not mean you have to look amazing or have perfect poses but you must have a good standard of self care and be of sound mind. We understand the importance of your time and resources, so we advise you to please book after extra consideration. The booking fee will not be refunded to you or transferred to any other student if you wish to cancel. There will be no refund of any kind after the start of the course. If you wish to cancel your current course date, you may transfer your booking fee to another course within a year of the application date. Before your transfer is processed, you must reconfirm the available date with us. This is allowed one time per person, multiple transfers are not permitted. This must be done at least 21 days before the start date of your course. In case the course fee is fully paid more than a month in advance, the cancellation notice should not be less than 21 days before the commencement of the course. Your full course fee could be transferred to another available date within a year of the application date or to another student at a nominal admin fee of £100. You must reconfirm available dates with us in such a case. Transfer of the full course fee will be allowed only once. In case of a cancellation performed by Breeze Yoga due to any unavoidable circumstances, full fees or booking amount will be refunded to the student without any charges. It does not apply to cancellations done due to misconduct or unlawful activity performed by a student during a course. Breeze Yoga & Hassan Hassan hold all rights to refuse or cancel admission without explanation in case of a serious misconduct or unlawful activity by any student on or off the premises.